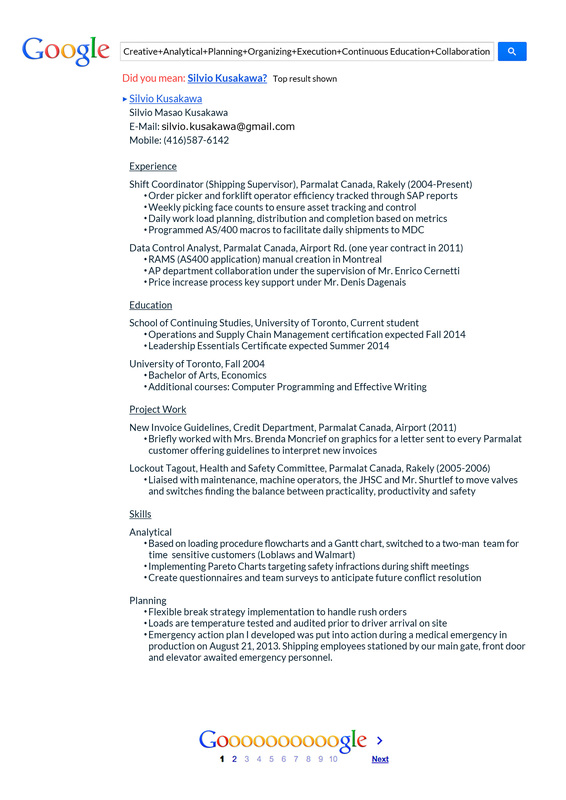 A couple of weeks ago I enlisted the help of a friend to help me update my resume for our company’s internal postings. We did a Google-resume variation for fun. January 2014 will mark my 11th year with the company. This year in my Supply Chain course I learned about sustainability and the new ideas regarding the triple bottom line (social, financial and environmental). I recently took a look at our corporate website and I was happy to see that there is a deliberate effort on our part to get involved in the community through charity work and fundraisers. I have spent a lot of time at work in the past two days. I talked to my wife and we are going to set time aside this weekend to cross a couple of items in our new business to do list. I don’t know what resumes look like lately. If you are reading this after searching for resume ideas, first and foremost you should create a LinkedIn account. I think every professional should have one.